Let’s Get This Party Started! – Hook It & Cook It! 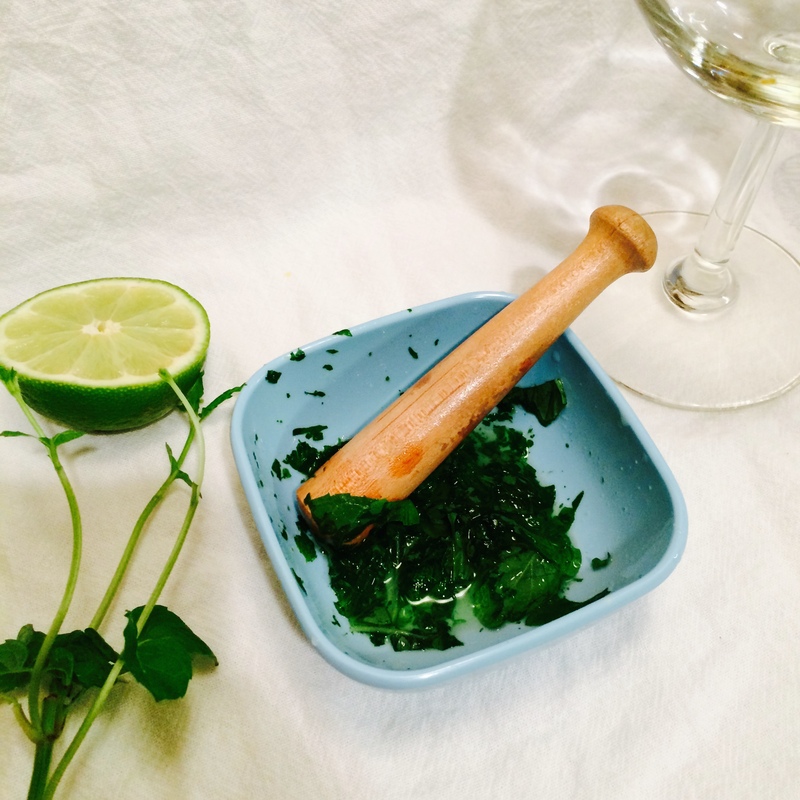 In a small bowl, tear up mint leaves and squeeze in juice of lime slices. Put squeezed slices into drinking glass. Muddle together mint and juice. I muddle mine pretty well since I want little pieces of mint with each sip. 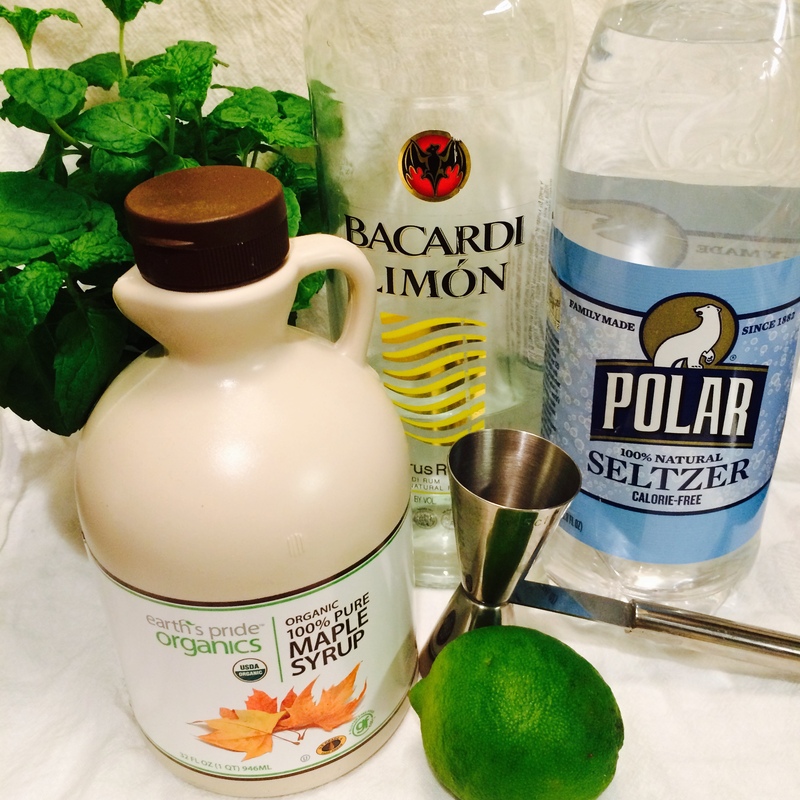 If you don’t want that, just muddle it enough to bruise the mint and get the flavor out. Pour the muddled mixture into the glass. Add 2 tablespoons maple syrup and stir together. Mix in 3 oz. Bacardi Citron Rum and toss in 3-4 ice cubes. Top with seltzer water and give it one last stir. Cheers and enjoy! Oh, and yes, to those beer aficionados out there, that is indeed a Hill Farmstead Brewery glass (if you haven’t heard of it, it’s worth the “google search” for further reading). Now I must admit, it’s as not as visually appealing as a clear simple syrup mojito, but I think that is clearly forgiven after the first sip (and definitely after the second or third drink). So, there you have it – a summery, Vermonty party in your mouth. Well, since my glass is full, my children are sleeping and my husband is at work, I shall adjourn to my crochet bag and continue on with a creation just as beautiful as this beverage. Until next time! Love the Hill Farmstead brewery glass. Also, that mojito looks delicious! I’ve always wondered what happens to the mint floating in the drink. Do you drink it or eat it or does it just get left behind? Anyway, this sound much better than a regular mojito. The mint stays in the drink so you drink/eat it as you work through the beverage. 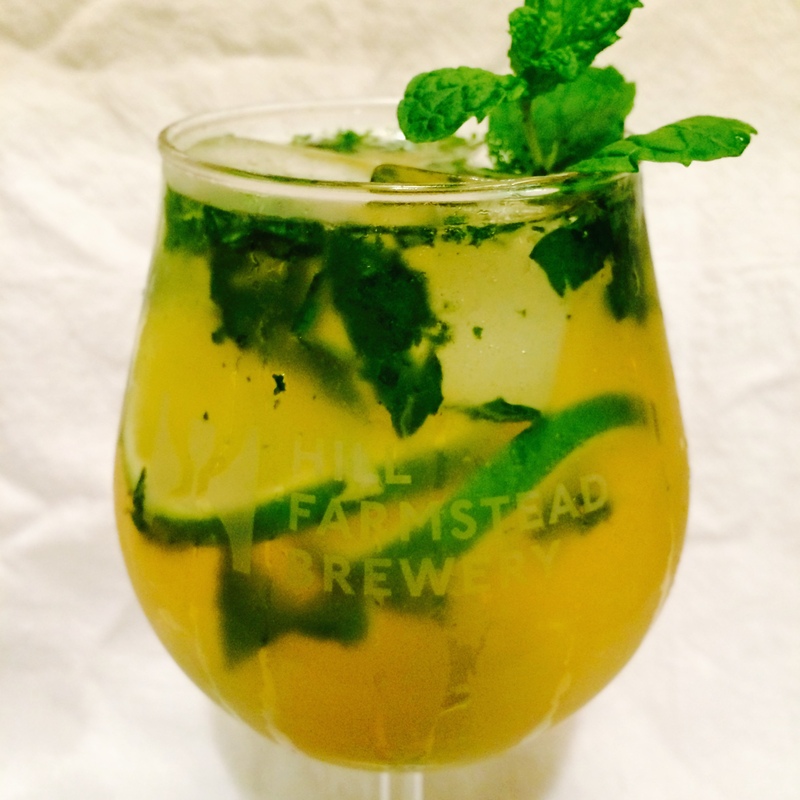 Some will stick to the inside of the glass, but with each sip you should get a little mint to nibble. If you are a little apprehensive about the mint, you can definitely run the muddled mixture through a sieve before you add it to the glass. However, the mint flavor will be a little milder. The mint is great for digestion and leaves a really pleasant flavor in your mouth after each sip. Give it a try and enjoy! Next Next post: Hell hath no fury….